What makes one four-bedroom lakefront home worth more than another four-bedroom lakefront home? If they are relatively the same age and about the same size? For Delavan Lake homes, it is all about the water. The premium priced homes on Delavan Lake have three important features. First, they are on the main body. The main body is the large part of the lake in contrast to the Inlet, Outlet or a channel. Second, the properties are located in the middle of either North Shore or South Shore. The middle part of the main body is where the best water is located. What do we mean by the best water? This is where the lake bottom is made up of sand and rock. With a sand or rock bottom, the water clarity is better, there is less vegetation and deeper water for boating and water sports. The third characteristic of the higher priced lots is that they will have level frontage. The most desirable frontage of all is walk in frontage. A piece of property that you can walk right into the water without traveling down any steps to get there. 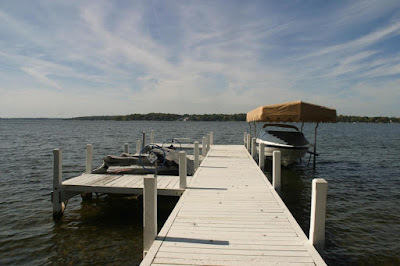 Since this is rare around Delavan Lake, a few steps are fine, but if you become winded by the time you get to the dock, the property will be discounted accordingly. There are two great examples of properties currently available with prime lake frontage. The first is located at 1601 Cedar Point Drive on the North Shore. This property includes 94 feet of frontage and two piers. 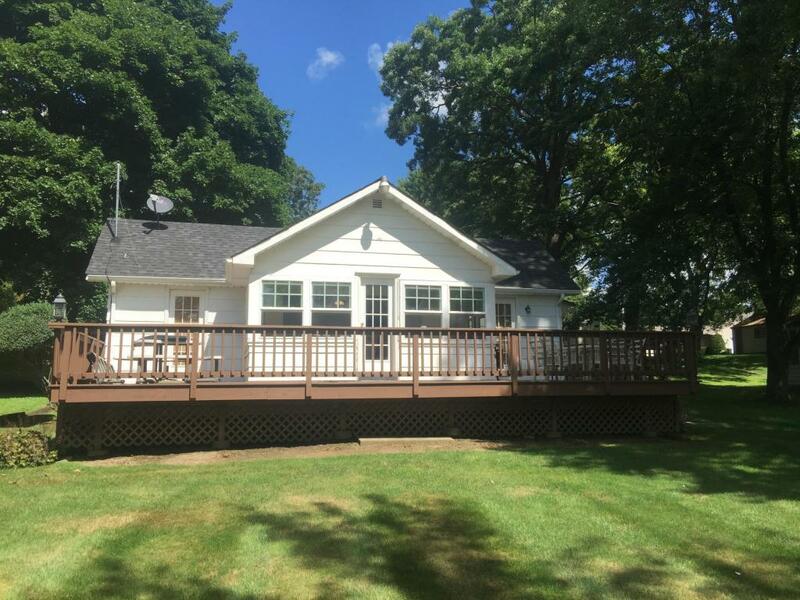 It is located in the center of the lake with close proximity to the Delavan Lake Yacht Club. 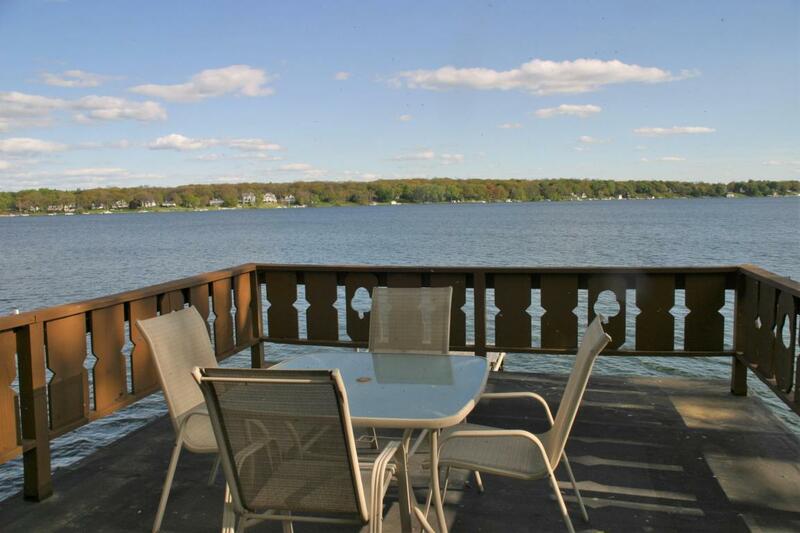 The water in front of the property is some of the clearest around the lake and the views from the first floor master bedroom allow the owner to enjoy summer sailboat races as the yachts tack across their course. Tour the property by clicking here. The second listed property with excellent frontage is located at 2027 South Shore Drive. Clearly visible from the shores of the Yacht Club, this lakefront estate rests on the opposite side of the lake and has the unique trait of being able to see the entire lake from the lakefront balcony. A sprawling English Tudor, this recently remodeled home has 125 feet of the elusive walk-in frontage and is excellent water quality for swimming, splashing, and sailing. The prime center-lake location of 2027 South Shore Drive, Delavan Lake, WI make it a top location. Click here to take a tour of this property. 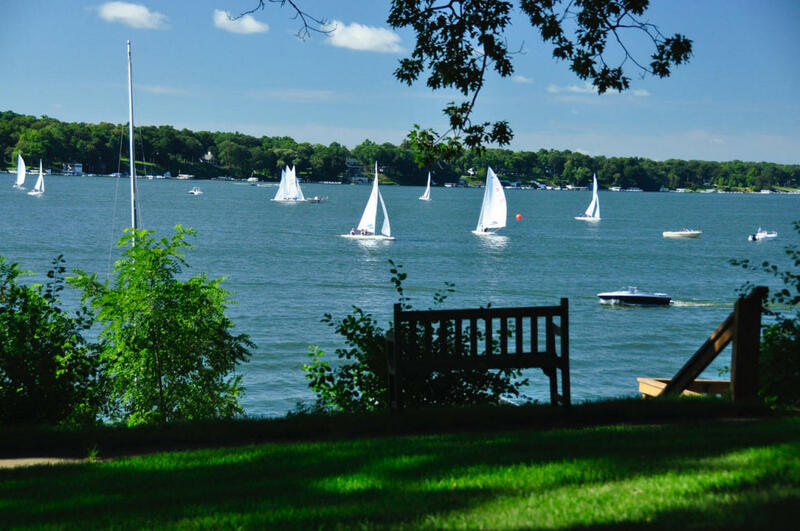 The results are in for Delavan Lake, WI home sales in 2016. The overall summary is that prices were up and the number of homes for sale is down. The tight inventory is continuing to put pressure on prices as multiple offers on the same properties have put some houses in a bidding war. More specifically, for all of 2016, there were 10 homes sold with water frontage compared to 17 in 2015. On the main body of Delavan Lake, there were only 8 homes sold in 2016 compared to 13 the previous year. This is the fewest number sold in the past five years and is mainly due to the number available for people to choose from. As a result of the limited supply, the prices increased over the prior year on both ends of the spectrum. The lowest price for a home on the main body of Delavan Lake in 2016 was $460,000 for a three bedroom two-story set on 50 feet of South Shore frontage. 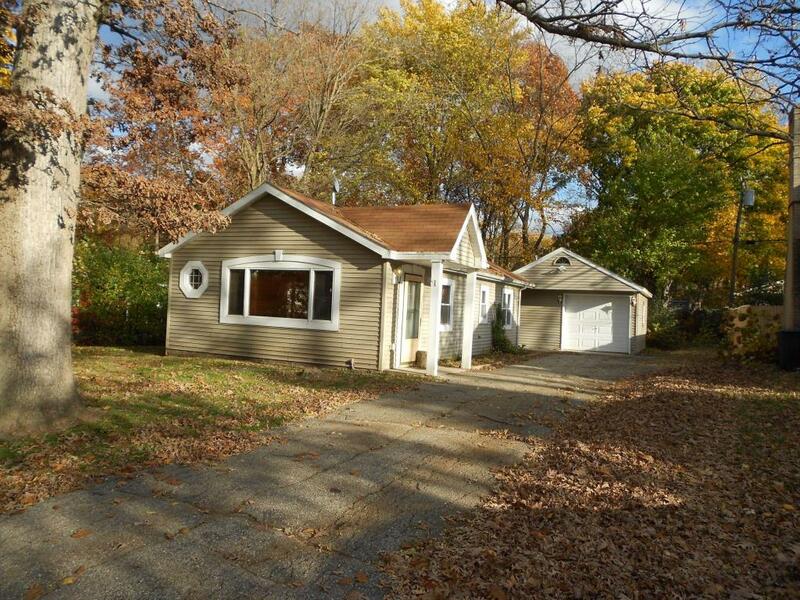 The modest property is scheduled to undergo immediate remodeling by the new owner. The most expensive sale in 2016 was also located on the South Shore. 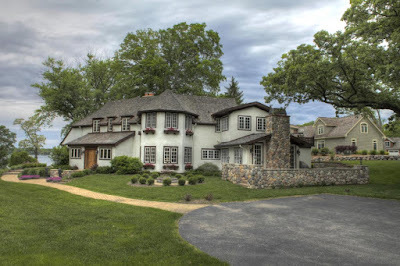 Selling for $2,800,000 late in the year was a prairie-style lakefront estate on 3.71 acres, 200 feet of frontage that included multiple garages and a boat house. The 10,000 square foot home was constructed as a family retreat and included six bedrooms (five of them suites), a billiard room, salon, theater room, and five fireplaces. Main entrance to 3307 South Shore Drive, sold for $2.8 million in 2016. Homes with lake access also saw an increase in prices as 52 were sold last year compared to 37 in 2015. Prices ranged from $52,500 for a modest three bedroom cottage in the Delmar Subdivision to $699,999 for an overpriced six bedroom located on Willow Point. The Willow Point home sold for over $300,000 more than assessed value and more than many of the lakefront homes last year. It was a poor value but will help push prices up around the lake. Condo sales and prices both were higher in 2016. Lake access condominiums had 19 sales compared to 15 the prior year. Prices ranged from $54,000 for a condo/hotel room to $276,000 for a three-bedroom, two-bath, Garden unit in the Geneva Landings complex. These prices were $11,000 and $31,000 higher than similar units that sold the previous year. The beginning of 2017 has the fewest amount of homes for sale with lake access or lake frontage than in the past five years. There are only 37 homes on the market compared to 53 at this time last year. Prices for lake access homes start at $129,000 for a remodeled two bedroom with lake views off of South Shore and increase to $459,000 for a four-bedroom two-story just three doors down. Both are across the street from the lake and are part of the Delmar Subdivision. One is listed for almost $200,000 more than the assessed value. Guess which one. 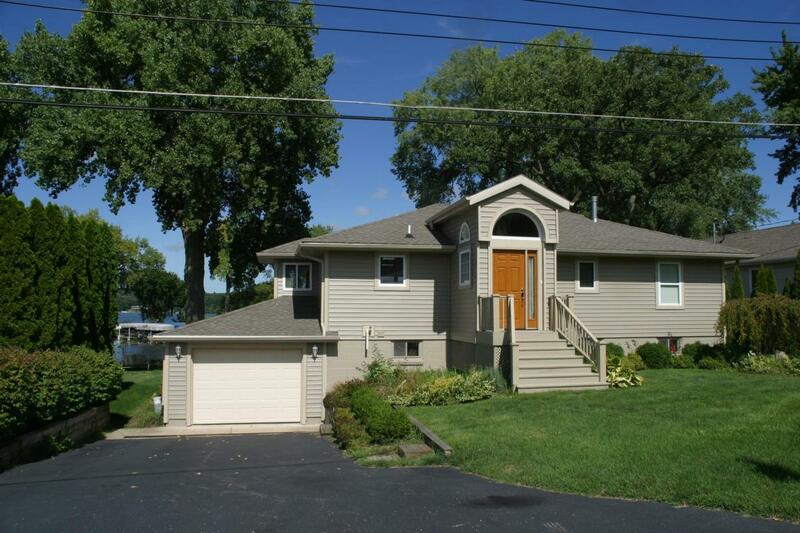 You can purchase a lakefront home on the Delavan Inlet for $299,000. This is where lakefront properties start out this year. For that price, you can get a two-bedroom, two-bath ranch on 50 feet of level frontage that has its own dock and single car garage. Nicely updated, the home has a large great room for entertaining and s lakefront deck to view the seasonal activities. The most expensive lakefront currently available is listed at $1,750,000. Set on one of the best locations on South Shore, the property has level, walk-in frontage and views of the entire lake. The remodeled English Tudor has 125 feet of frontage, five bedrooms, five baths, a solarium, two dining rooms, hardwood floors, and an incredibly gourmet kitchen with Viking appliances and granite counters. There is also a shortage of condominiums with lake access on the market right now. Only 11 are currently being offered compared to 14 at the start of last year. Prices start at $73,000 for a two-bedroom, two-bath condo/hotel and increase to $329,000 for a three-bedroom, three-bath unit in the Delavan Gardens that includes a private boat slip and association boat launch. The best value for a lake access property is located at 2508 South Shore Drive. This remodeled two-bedroom is the lowest price offering and is an attractive get-away with wood floors and a spacious two-car garage for storage. The home has access to a beach, boat launch and two association parks and is listed for $129,000. The best value lakefront home on Delavan is located at 4423 Robbins Road, just off of South Shore Drive. This Floridian-style walk-out ranch, has three bedrooms, including a first floor master suite with gas fireplace, jetted tub and private waterfront screen porch. The home is listed for $699,000 and has 83 feet of lakefront, a private dock and tandem two-car garage. Cost conscious condo customers can find a bargain at 2191 Newbury Lane in the Geneva Landings complex. Listed for $179,900 the unit features three bedrooms, two baths an attached garage and walk-out lower level. As part of Geneva Landings, the unit has access to an outdoor pool, fitness room and a short waiting list for a boat slip.